Finest tips and buds are hand harvested and processed similarly to young pu-erh. 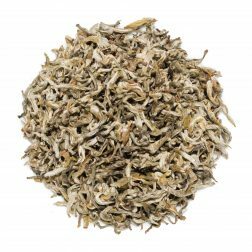 It is a white tea with a more robust flavour that is sweet, mellow and smooth, with malty and woody undertones. 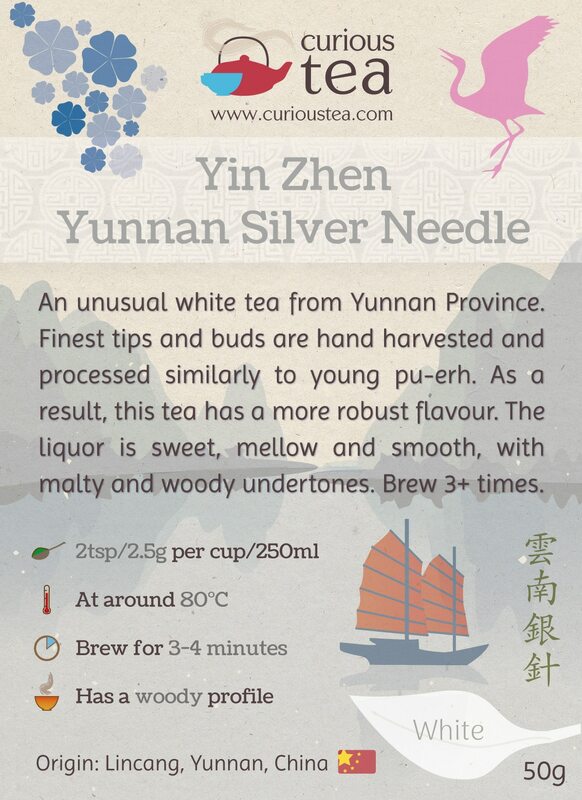 Yin Zhen Yunnan Silver Needle (雲南銀針) white tea is a light and delicate white tea with a somewhat darker side! 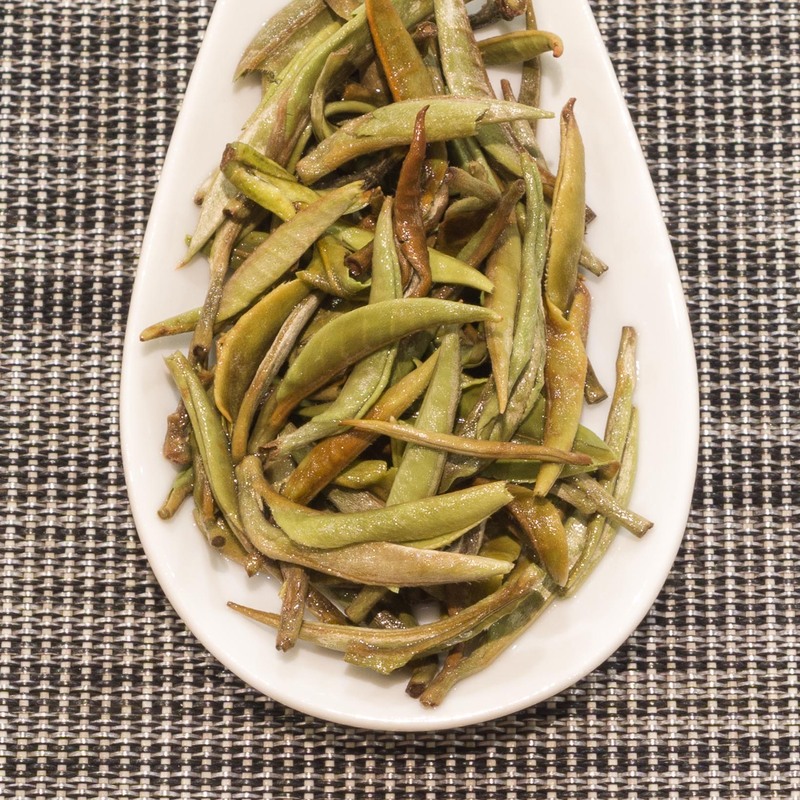 If you know the classic Yin Zhen Silver Needle from Fujian Province, this tea will definitely be familiar but you will soon see some interesting differences. This Yin Zhen Yunnan Silver Needle is sometimes called a White Bud Pu-erh tea. 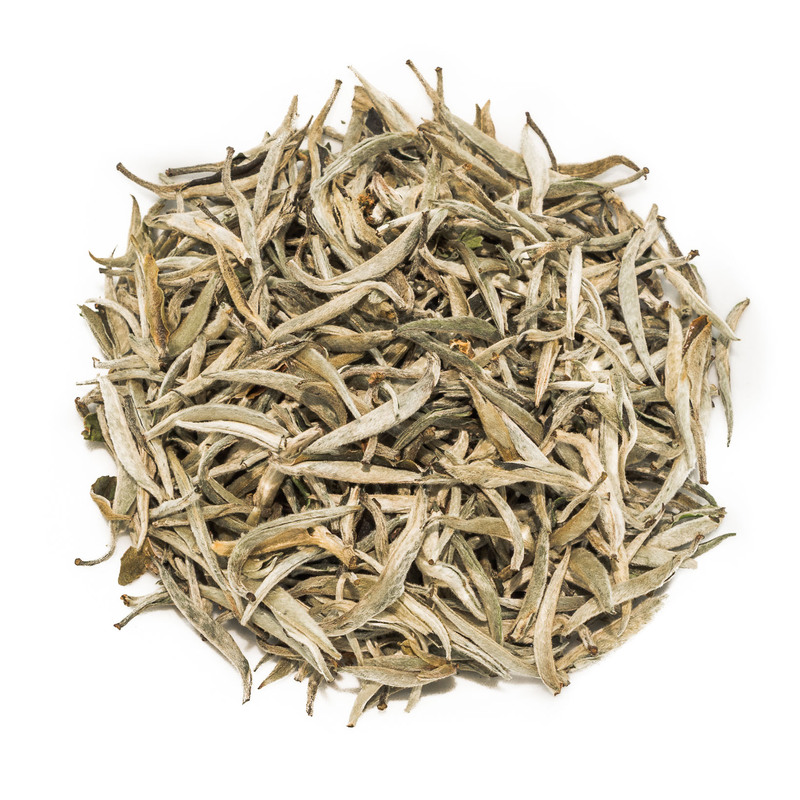 The reason for this alternative name is to distinguish this white tea from Yunnan from other counterparts grown elsewhere. 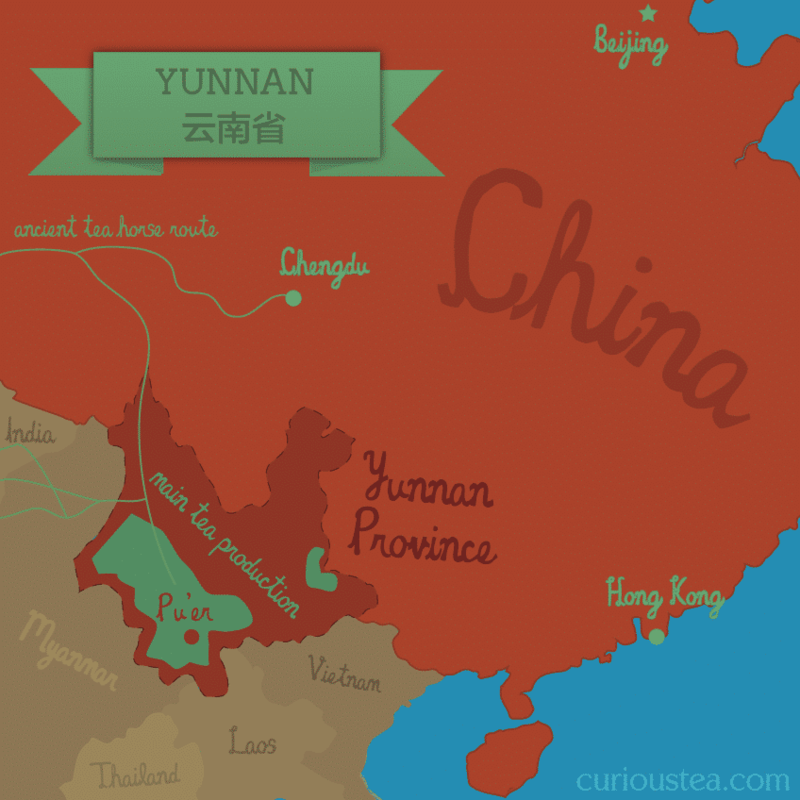 The leaves that are used to make this tea are plucked from the same Yunnan trees that are used for producing the region’s numerous pu-erh teas. 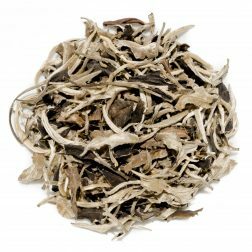 Another reason for this tea to be called a White Bud Pu-erh is due to the processing that it undergoes. ‘Normal’ white teas undergo minimal processing, which involves plucking of fresh tea leaves, withering and then, sometimes, drying. 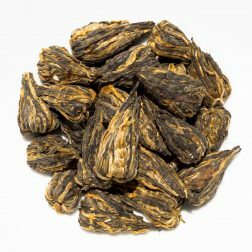 This Yin Zhen Yunnan Silver Needle white tea by comparison undergoes processing that is more akin to a young (raw) Sheng Cha (生茶) Pu-erh. So this tea starts life as the young and tender tea leaf shoots that are carefully hand plucked so as to keep the buds intact. They are then withered, pan fried and finally dried in the sun. 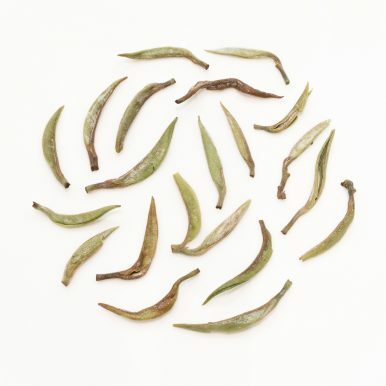 As the leaves are not dried with hot air, there are still some enzymes present in the tea leaves. This leads to a very slight oxidation during sun drying. 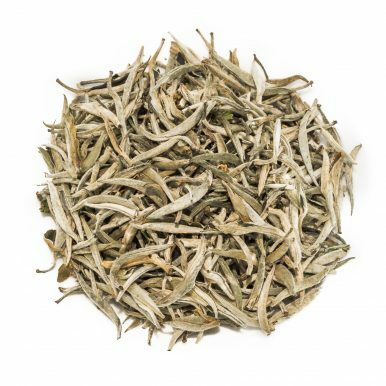 So this white tea is actually closer to a Mao Cha (毛茶), which is the loose-leaf form of young Sheng Cha Pu-erh and is the starting point for a pu-erh tea. 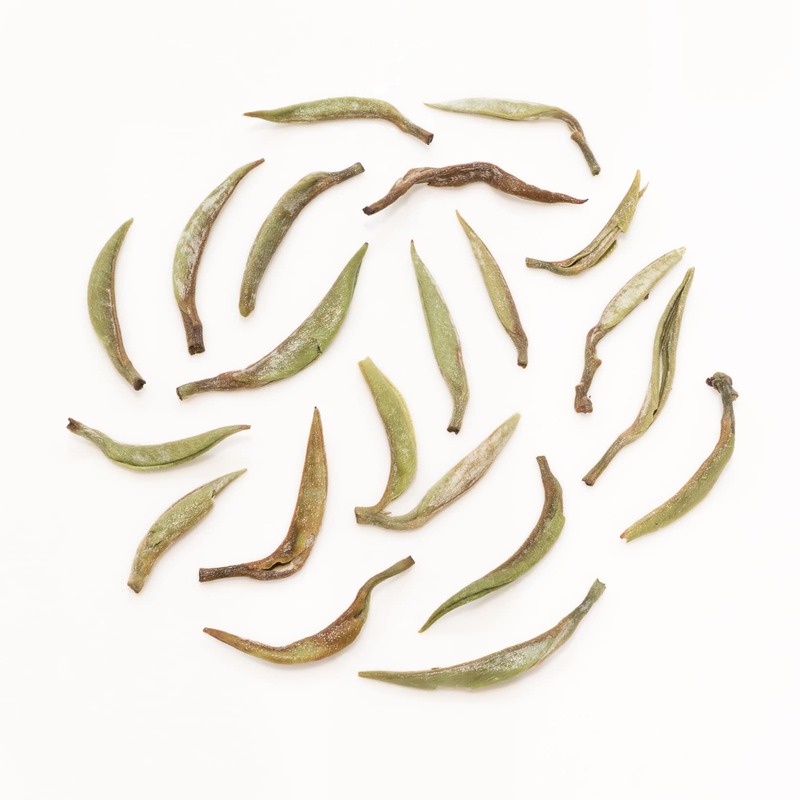 This Yin Zhen Yunnan Silver Needle white tea is grown in Yongde County of Lincang Prefecture, not far from the border with Myanmar. The tender leaves have been carefully hand processed to create neat silver needles. 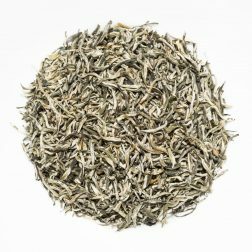 You can see plenty of white ‘hairs’ on this tea, indicating a very high quality of both leaf and processing. 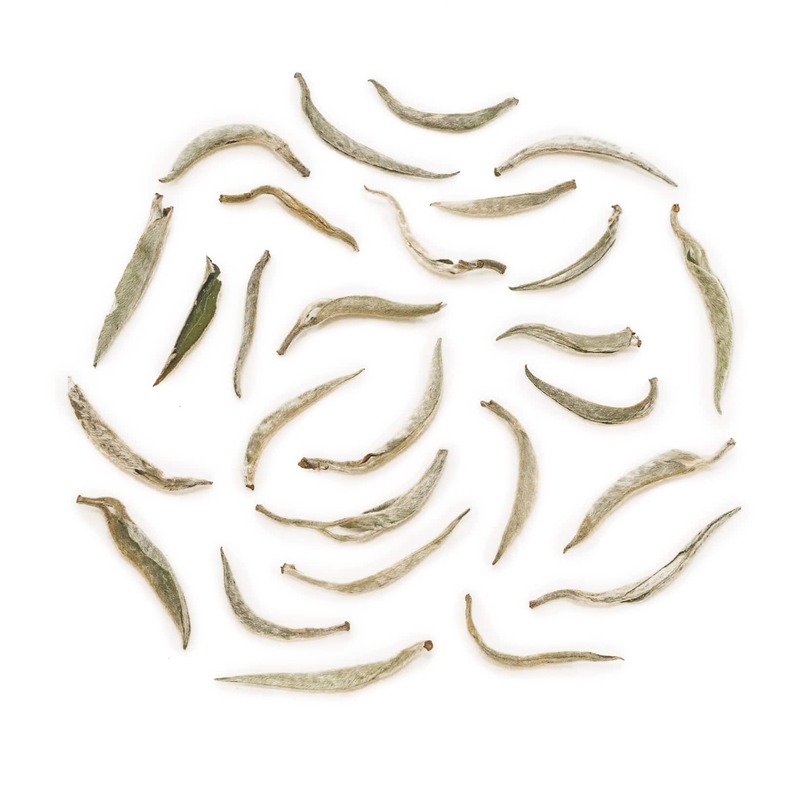 The unusual (for a white tea) processing results in a more complex and robust flavour. 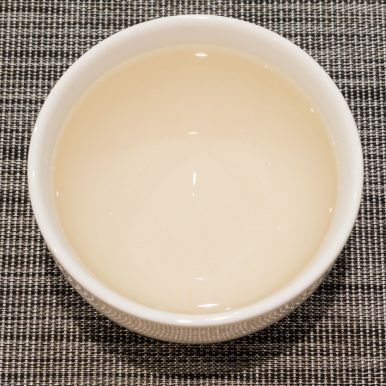 The pale liquor is sweet, mellow and smooth with no astringency. It has malty and woody notes which are the stand out features of this tea and make it an unusual experience. 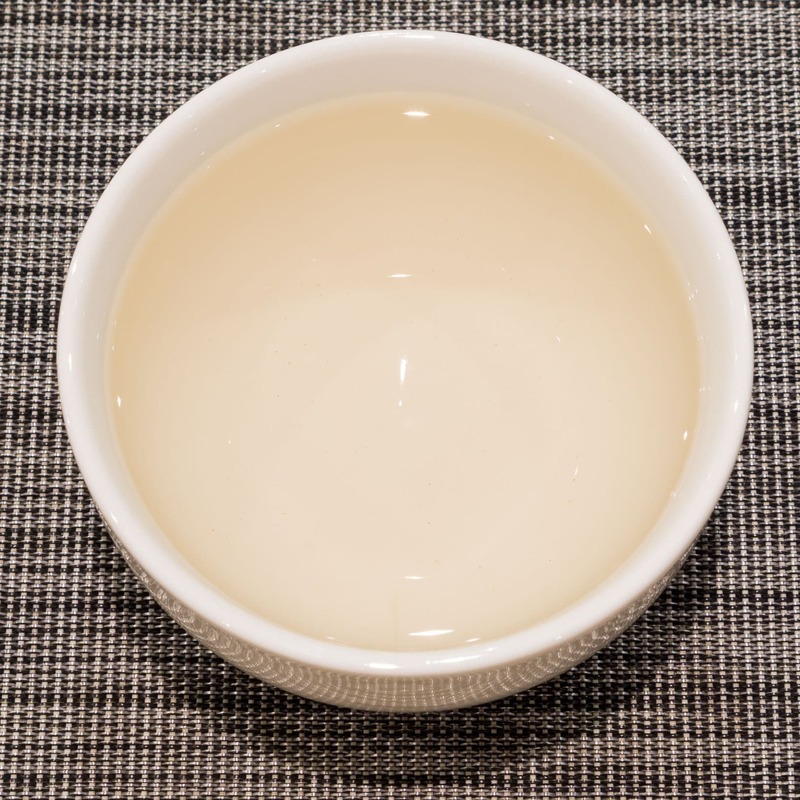 Our particular featured tasting notes for this tea are those of sandalwood (or other exotic wood) with slight earthy maltiness on the aftertaste. This tea is best brewed at 80°C for 3-4 minutes according to your taste. This tea should definitely be brewed multiple times, increasing water temperature and steeping time with each next brew if desired. Like with all white teas, you can experiment with lower temperature and longer steeping time as an alternative way of brewing this tea. This Yin Zhen Yunnan Silver Needle white tea was first featured in our May 2016 Curious Tea Subscription Boxes.